When Bruce Lee says “conquer” it is not about subjugating yourself, but instead it is about knowing yourself in order to liberate yourself. Fetters are a chain or manacle used to restrain a prisoner. In this quote the fetters are our own restrictions of ignorance, laziness, preoccupation with self, and fear. These things hold us prisoner, restraining us from being free to be our most authentic selves. Bruce Lee was a normal person dealing with his personal chains and traps. Here, he was describing his own fetters, describing what was holding him back and what he needed to work on in order to free himself. Self-work is hard work. It can be draining and take a long time, but it is worth putting in the work. When we have those feelings of love and joy, it feels good in our bodies and our souls, and we always want to get more of that. We return to our fetters because they are familiar and easy and we fear leaving them behind. We fear looking at our chains too closely. We are fearful of looking closely at ourselves because that means that there is a part of you that has to change. You have to let go of some story you might have been holding on to your whole life. Self-work is such hard work because they way that you grow and change is by going through, working through the hard feelings. You cannot just put aside the hard feelings; they will not go away, they must be dealt with. If you are numbed to a big part of your feelings, it is hard to know yourself. “Use the ego as a tool.” We all have an ego. We all have a place in our lives where we do not want to be challenged or told we are wrong. To use our ego as a tool, we look at the places in our life where we are rigid and do not want to hear that we could be wrong. Where are you resisting with your set choice patterns? When Bruce Lee talks about being a flowing entity, capable to flow with whatever comes at you, this means you cannot be in resistance with your ego or your story. Look at the ego rigidity within you, and ask, “How am I resisting?” Investigate why there is rigidity and as yourself if you really want that. The first step is being willing to see the ego rigidity. Have a willingness to listen. In our present culture, there is a push to debate in order to force your point to be heard, but when you do this you are not listening to the other person. Be present. Be willing to listen. It is important to engage in these conversations even if you do not think the other person will listen to you. Even if someone does not listen to you, you still were able to express yourself. You got to practice being in relationship in conversation with someone and practicing these things helps you grow. Fear is a heavy chain. We are often fearful of being hurt so we do not engage. If we are fearful and defensive all of the time, we cut off connection and growth. Do not put so much energy into guarding against being hurt, especially if the hurt might not even come. It requires so much of your time and personal power to stay defensive against hurt. It is uncomfortable to be anxious and tense, tiptoeing through life out of fear. Truly seeing and really listening is not possible when you are coming from a place of fear because you are on guard. Sensitivity is about having mastery of your senses. If you are fearful, you seek other people or structures to make yourself whole. You do not want to get stuck in the esteem of others because then you will not know yourself. If you are always self-conscious about how you do something, even if the desire is to do it well, but you want to do it well to receive esteem from others, then you will never achieve flow in that action. That self-consciousness prevents you from truly doing the task the best that you can and expressing yourself. Striving for perfection will prevent you from starting something or prevent you from finishing something. If you fear sharing something because you fear the impression that you will make, your projected self is in conflict with your true self. If you can always be your true self then you have freedom to create and share anything. Secretiveness is dishonesty to yourself and those around you. If you’re secretive you are engaged in the creation of a disguise because you are not comfortable in your own skin. It is ok to come out and be yourself. Laziness is heaviness and paralysis. It is a result of not dealing with your fear, ego, or self-consciousness. You feel that you have no energy to do anything productive. Ask yourself: Where is my energy going? How can I reclaim that energy? Know yourself, look inside yourself, develop yourself to be a better master of yourself. Use you ego, be in relationship, have sensitivity. This ego rigidity makes it impossible for us to meet where we are and who we are in every moment. Ego rigidity is the source of losing energy. The boundary should be limitless; you need to dissolve the boundary so that the love and cooperation that is within can flow out. 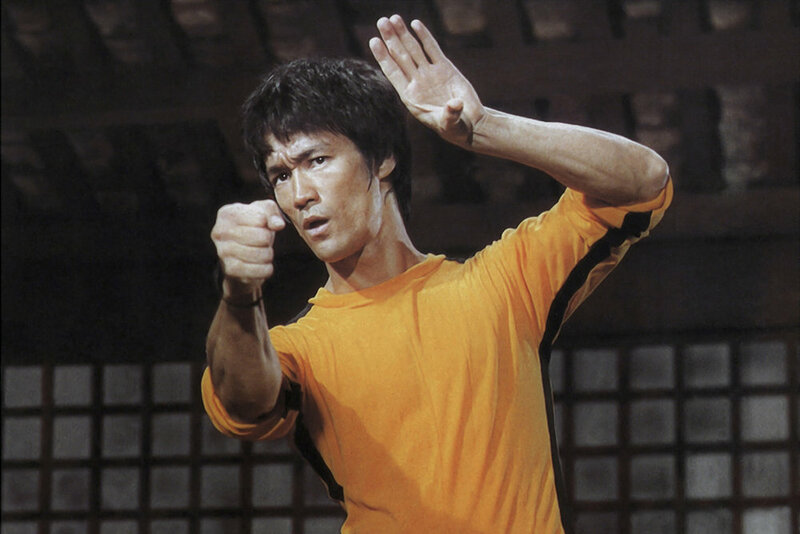 We are experimenting with the formatting for the podcast so we do not have an #AAHA or #BruceLeeMoment this week, but we would still love to hear from you!